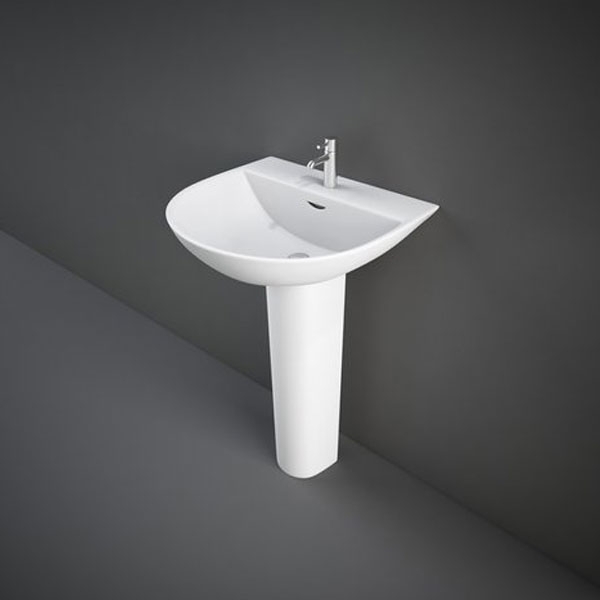 The RAK Reserva Basin & Full Pedestal 550mm Wide 2 Tap Hole manufactured by the popular bathroom product brand, RAK. Stretch out in the delight of a magnificent haven that makes every home complete! Let your chosen style and grace complement the natural environment, while transforming it into a highly functional space in the home by adding this cool Reserva Basin from RAK. The sinks semi-circle shape is unique that grabs your attention for the right reasons.